Industrial Clutch Parts Ltd. supply a complete range of Coremo Direct Hydraulic Brakes. Available in both Oil-Applied and Spring-Applied actuation methods. Coremo spring-applied direct hydraulic brakes generate a braking force produced via the action of cup springs compressed inside the thruster body. Meticulously tested for use in harmful environments. Coremo ID spring applied hydraulic brakes are ideal for emergency stopping or holding and parking operations.  Industrial Clutch Parts Ltd. distribute a full range of Coremo Spring Applied Failsafe Brakes. The ID 2000N acts as a safety brake used for emergency parking and holding. Coremo Hydraulic Spring Applied Brakes are ideal for highly dynamic stops at a very competitive price level. Suitable for seaport and marine applications, lifting systems and conveyors, mining and oil. The compact brake design provides a maximum braking force up to 116000 N and operates in temperatures from -40 to +200 °C. Coremo ID brakes withstand the stresses generated during dynamic braking, while the steel bodies are calculated to support pressures of over 100 bar. The lining pads have been designed to meet the relevant European standards on safety and toxic substances. ID spring-applied direct hydraulic brakes are complete with wear indicator and inductive ON/OFF positioning sensor to indicate opening and closure. Coremo brakes withstand heavy loads transmitted to the friction pads, guide-pins and the polyurethane seals. ID brakes have been designed to ensure the reliability and sustainability of the brake is paramount with no risk of oil leaking. The brake is easily maintained and performs without removing the brake from its mounting location. The high quality of the materials and the protection treatment allow the brake to work at its best without risk of corrosion even in an aggressive environment.